It's possible to get from Toronto to Dubai (DXB) and back on Air Canada's non-stop flights for just $667 CAD roundtrip including taxes. is a combination that will work. Use dates in November 2015 or the first half of December 2015. 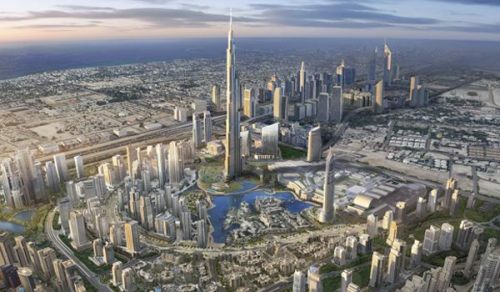 4 Responses to "Toronto to Dubai - $667 CAD roundtrip including taxes | non-stop flights"
If you don't take the New York leg, can the airline charge you? No. They can cancel the remaining legs on a ticket if you skip a leg of a journey, but in this case, that would be irrelevant. 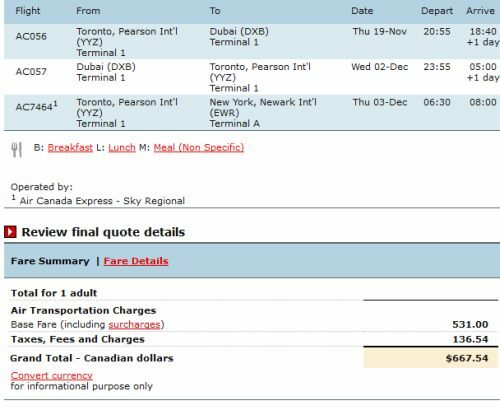 Is there any deals the other way, from dubai to toronto and return to dubai?